During the holidays, we had a party at our home with about 40 people in attendance. A few of the older folks got to talking about funerals and cremation, and since I am in “the business”, they wanted answers to their questions. So, I asked them want the wanted to know about. I thought they would ask about grieving and laws and what do you do when someone dies, and a couple of people did have such questions. However, most wanted to know how much a funeral cost now days, and how much would they have to spend to have a nice funeral. I told them a nice funeral, or a traditional funeral, is what takes place at the funeral home. 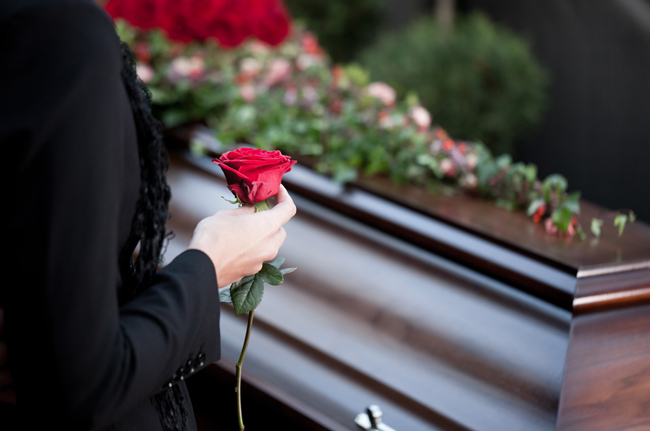 When a person passes, they contact their funeral home of choice and give permission for the body to be picked up. In the business, this is called a removal. Then an arrangement conference is set, either the same day or the next day, with a funeral director (Calumet Park Funeral Chapel at 219-636-5840 or Rendina Funeral Home at 219-980-1141) where you will decide on what you would like your final goodbye to look like. You would provide the information necessary to have a death certificate issued, pick out a casket, register book and prayer cards, set up the obit, coordinate with the cemetery of record, clergy, vet groups etc. and set up the times and dates for visitation and for the funeral service followed by the committal to the final resting place. 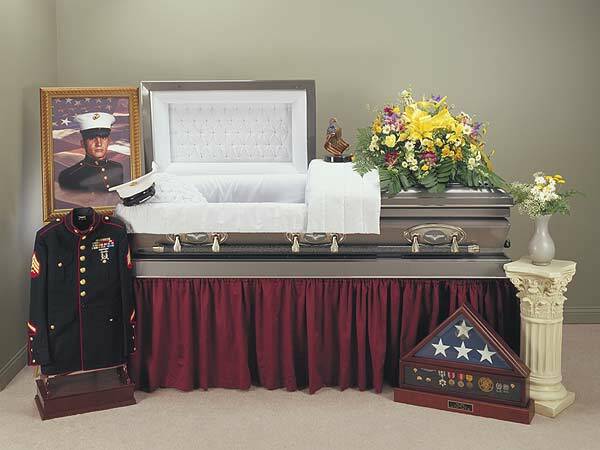 This usually runs, on average, around $8,000 to $10,000 depending on the casket choice. I told them that they could have a simple, direct cremation with no extras for around $2,000. And if that was what they wanted, three or four days later they would have to go back to the funeral home to pick up the ashes, or cremains. Heads were nodding their acknowledgement, with a couple exclaiming they can’t afford to die. “What else?” they asked. I told them there are the cemetery expenses to consider. I told them that Calumet Park has so many different choices, from simple ground burial in a single grave that is free on a pre-need basis up to estate lots and even private mausoleums. I explained community mausoleums, where groups of like-minded people share in the cost of building a large complex and then their investment gives them the right to be permanently entombed in a crypt there. “Sort of like a condo?” asked one of the party goers. (Fun Christmas party conversation, eh?) I explained that there are charges called opening and closing of the final resting place, and for ground burial, they would need an outer container called a vault in which to place the casket during the burial or interment, or for placing a loved one in the above ground crypt space. One of inquisitors was a veteran, so I mentioned that we have a lot of freebies and discounts for honorably discharged vets. He liked that idea. Opening and closing has a great deal that is involved it in order to ensure the proper grave is used, paperwork, computer entry, laying out the grave space with a triple check system, digging of the grave, setting up a tent and chairs when the weather permits, completing the burial after the gathering at the grave, and eventually, seeing to it that the grass is planted to bring the individual broken soil up to the standards of the beautiful grass covering that makes up the 160 developed acres at Calumet Park. “What about gravestones? Are they included?” I told them that there were different kinds of gravestones. The ones that stand up so you can see them from a distance are called monuments, and they run a pretty penny, depending on the size chosen. Then, there are flush granite and flush bronze on granite markers, so it all depends on what a person wants. My best answer to their money questions was that it runs around $12-$15,000 for everything, and that the best thing they could do for themselves would be to go to their funeral home or cemetery of choice and sit with someone. I told them that our Family Service Counselors are always available to answer questions and to help them design their funeral and that service is free. If they choose to prearrange, Calumet Park will finance with no credit checks, no turn-downs, and no interest payments with 10% down. “Would I have to do everything at once?” asked a sweet little lady. I told her and the rest of the group that the only time you have to do it all at once is when you wait til you die. And then, you won’t be doing any of it. You will just leave a mess for those you love to have to deal with, and if you or they don’t have the money, then there will be a lot of settling for less than you would have chosen if you had a say in it. Well, we went on to more fun things, but I will tell you, the reader, what I told them: “It is better to have it and not need it than to need it and not have it. It being your final wishes prearranged. Call 219-769-8803 now to see how much it might cost for you? Comments Off on So, what do you want to know? It is not our intention to frustrate you during your time of loss. 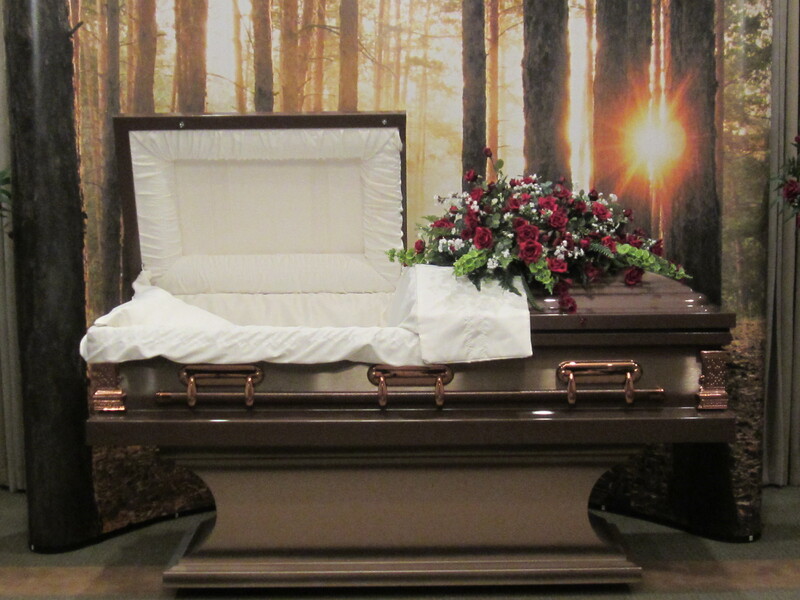 There are certain legal requirements and rules that must be met before a burial can take place. Determine who has the legal right of final disposition. Determine who has the legal right to open a grave (interment), crypt (entombment) or niche (inurnment). 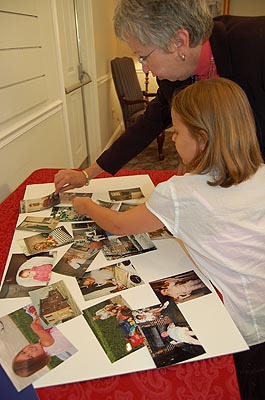 In most cases, relationships to the deceased are easily determined and the interment process is simply a matter of reviewing an interment order, going to the final resting place to assign or verify the space to be used for the committal of the loved one to (or selecting a final resting place when not already prearranged), signing the official paperwork, paying for items and services necessary to complete the burial and having any of your questions answered. For some, a selection near a beautiful, mature tree meets their needs. There are times when questions arise concerning these two issues. It is Calumet Park’s policy (in such circumstances when doubt as to who can do what arises) to get a court order allowing the interment to proceed. This is not a complicated process and your Family Service Counselor will assist you in this matter. It is not comfortable or convenient to either party when a court order is requested. However, the task of the Family Service Counselor as a representative of Calumet Park Cemetery is to make certain that the interment is performed to meet your needs while complying with the legal requirements of the State of Indiana and the Federal Trade Commission, along with the rules governing the operation of Calumet Park Cemetery. It should be noted that the question of who has the right of interment and the right to open a grave are laws that must be adhered to regardless of the cemetery or funeral home that you select. Although all such entities are expected to abide by the laws designed to protect the rights of the citizens of the State of Indiana, not all obey them as written. Calumet Park believes that the intent of the law as a means of protection for families and individuals during a time of loss far outweighs the disregard for such compliance for the sake of expediency, and does its utmost to follow the law even when not the most convenient to do so. So please try to bear with us and be patient. Please understand that going through the process the way we do really is the best policy…for all concerned. 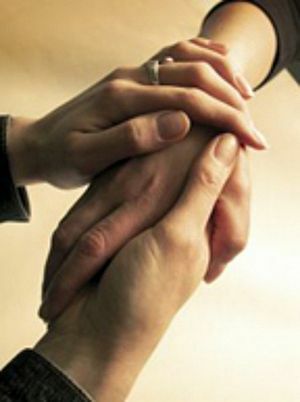 We promise to take as little time as is necessary while helping you complete the interment process for your loved one. Please accept our condolences for your loss. 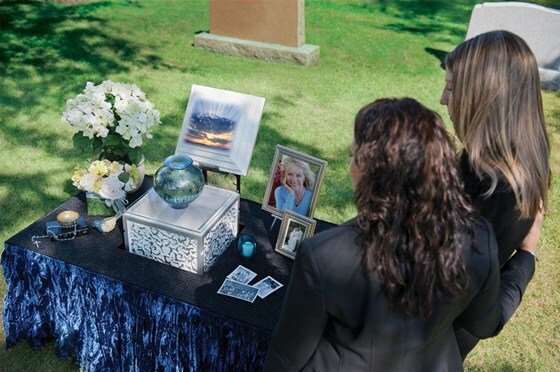 What happens when you meet with a funeral director to make funeral arrangements? Meet with your funeral director to plan the funeral. your needs and your emotional and financial well-being. funeral to proceed, including a burial permit and death certificates. – Arrange for the date and times for visitation and final committal service with the cemetery and church. security, the veterans, insurance etc. as applicable. service, along with producing car lists etc. such as a register book and prayer cards. 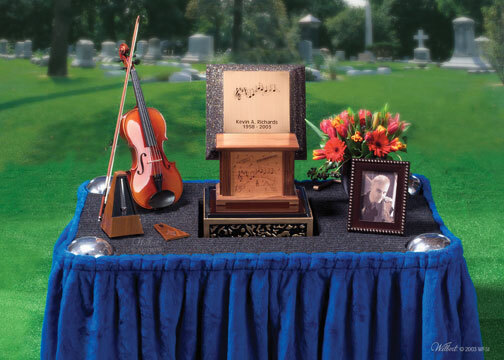 on personalization of the funeral service, from photo boards, memory tables, music to food/drink ideas. – Help you decide on the best payment option for your circumstances. – When to arrive for the first viewing. – What to expect during the public visitation. – What will be done after the service with flowers, cards, the photo blanket, the DVD, etc. and what is to be returned to you. service up to and including the dismissal at the end of the ceremony. – You will be asked to go to your cemetery of choice to verify the grave to be used when you have property, or to select a final resting place. The cemetery will have some papers for you to sign that ensures the interment, entombment or inurnment is handled with respect and within the laws of the State of Indiana. They will establish two important protocols: who has the right of disposition and who has the right to allow a grave, crypt or niche to be used for final placement of mortal remains. 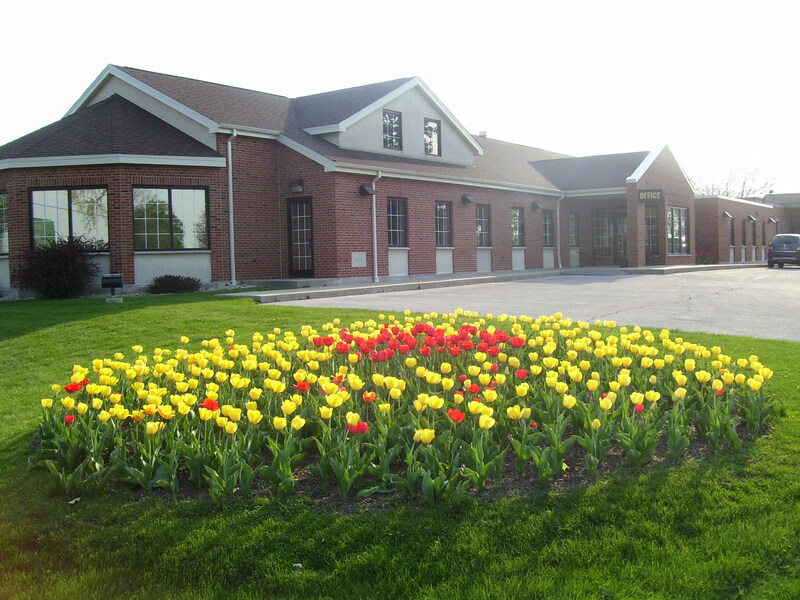 Let our kind and caring funeral staff at both Calumet Park Funeral Chapel and Rendina Funeral Home help you through your time of need. For more information, go to calumetparkcemetery.com or call 736-5840 for Calumet Park Funeral Chapel and 980-1141 for Rendina Funeral Home. Comments Off on What happens when you meet with a funeral director to make funeral arrangements? Who doesn’t like free? When we see a sign that says free, we stop to look. Free what? Puppies? Kittens? Firewood? Graves? Comments Off on Free……who doesn’t like “free”? In the Spring of 1997, Rome approved an Appendix to the Order of Christian Funerals which deals with cremation. It reiterates the normative suggestion that the cremation take place after the funeral liturgy, but also permits, for the first time in Catholic history, a funeral liturgy (mass) to be celebrated with the “ashes” (cremains) in a place of honor at the church during the service. What should your do if someone should die at home? The police should be called first unless the decedent’s physician was in attendance or if the death occurred due to unknown circumstances. The coroner or medical examiner will need to be notified to officially pronounce the death. Family members, or whomever is to be legally responsible for the final disposition of the deceased, should be notified. A funeral director needs to be called as soon as possible to transfer the body from the place of death to the funeral home. Your funeral director (Call Calumet Park Funeral Chapel 736-5840 for more information) will need to know if there will be a viewing and visitation. If so, you will be asked for permission to embalm. After a death, what happens before committing your loved one to their final resting place? This post takes about 2 minutes to downoad but it is very helpful and is filled with photos. Above photo is at the cemetery on the day of the funeral. What is the process from the time of passing to the actual burial of a loved one? 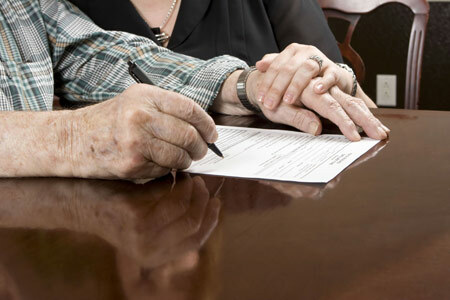 Read the full article to get a general understanding of what will be required of you as the legal next-of-kin responsible for making the arrangements. 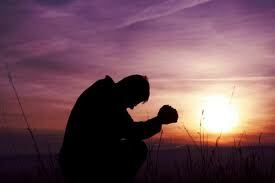 Comments Off on After a death, what happens before committing your loved one to their final resting place? This post takes about 2 minutes to downoad but it is very helpful and is filled with photos.